Welcoming Fall Pinup style. Here’s a look at my recent outfits and I think you’ll agree they are perfect for Fall. 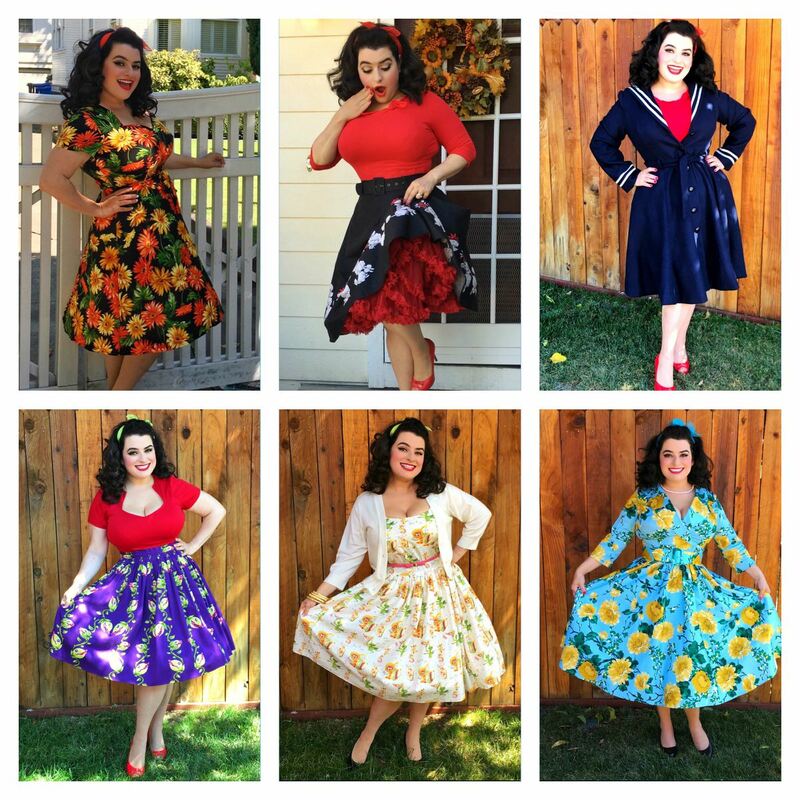 I love my Pinup Girl Birdie dress in turquoise blue with big yellow Fall florals and of course my Heart of Haute yellow/orange floral Aimee dress which screams Fall!! It is even starting to get chilly here in beautiful wine country California and I’ve had to pull out my nautical Pinup Kiera swing coat from Collectif Clothing. My Bernie Dexter ‘Happy Hour‘ dress too has lovely Fall colors of oranges and green and is so much fun to wear. Some of my favorite novelty print swing skirts too are perfect for Fall and I have been wearing my Deadly Dames Darling Dames Skirt in Venus Fly Trap print from Pinup Girl Clothing and of course my Poodle skirt from Dangerfield. I have a fun Halloween shoot coming up so stay tuned!! Hope you are all enjoying your Fall and wearing your great Autumn outfits too! !